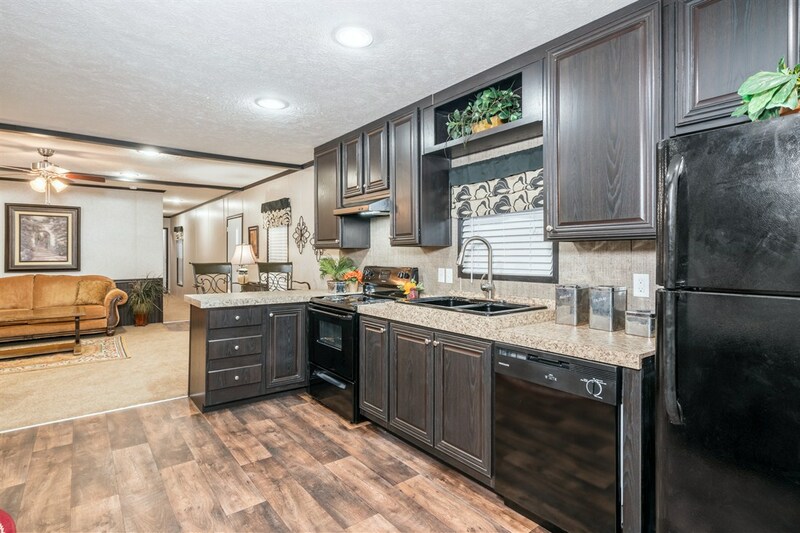 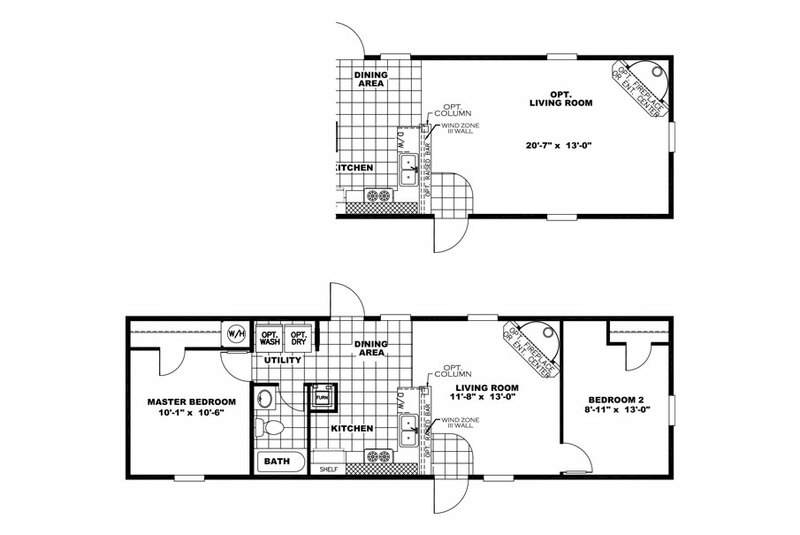 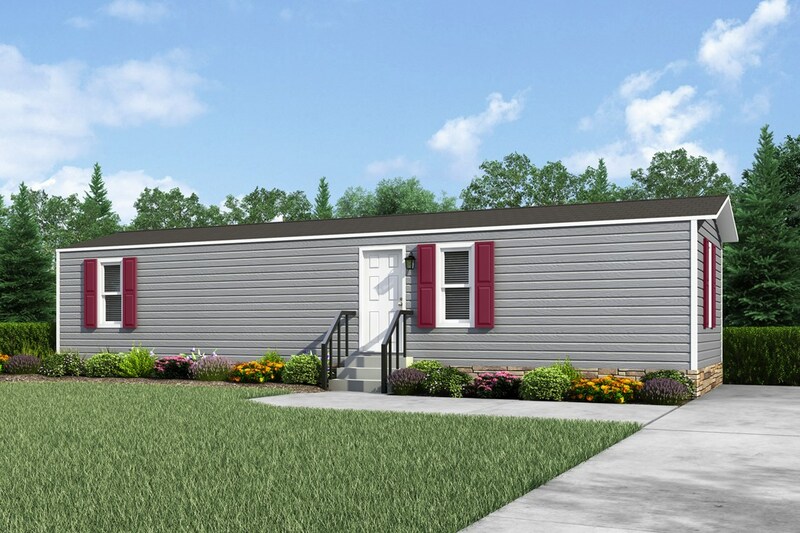 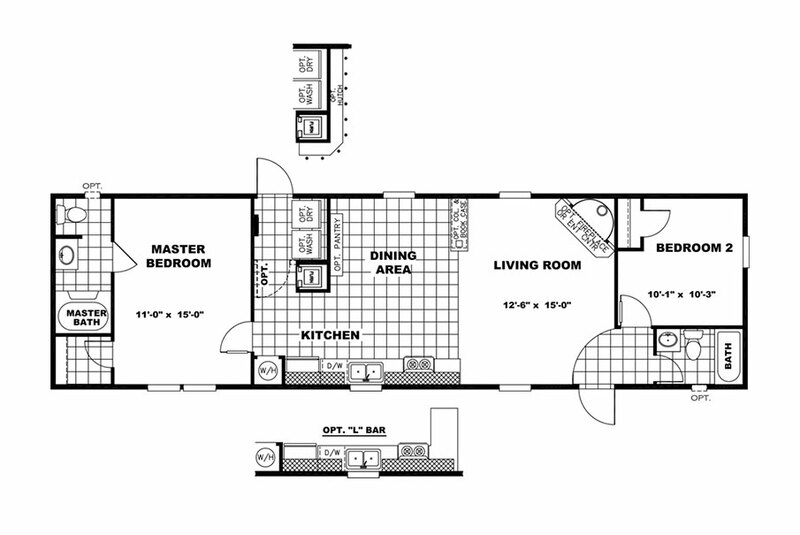 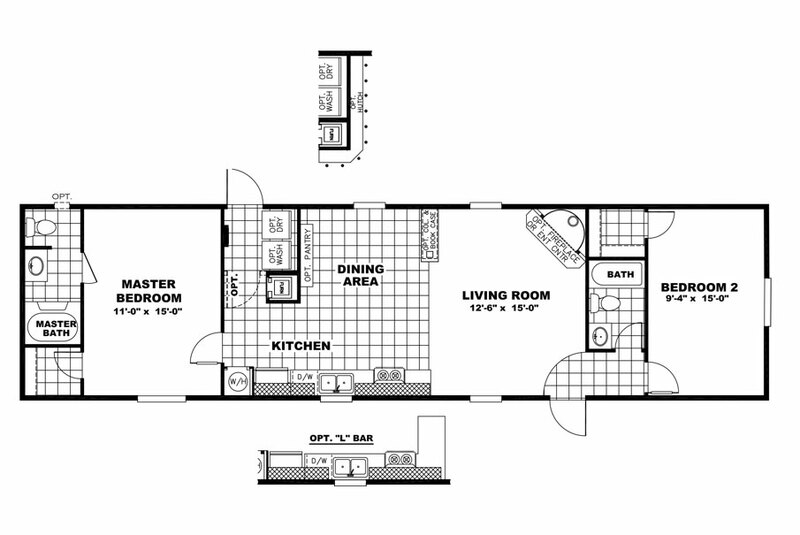 Small (not tiny) home with the big features of a much larger home. 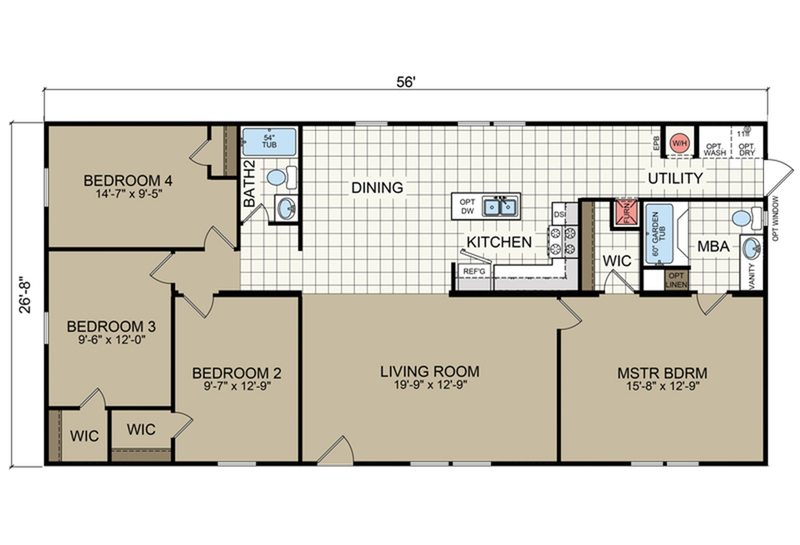 Available as a one-bedroom model with massive living room open to beautiful kitchen. 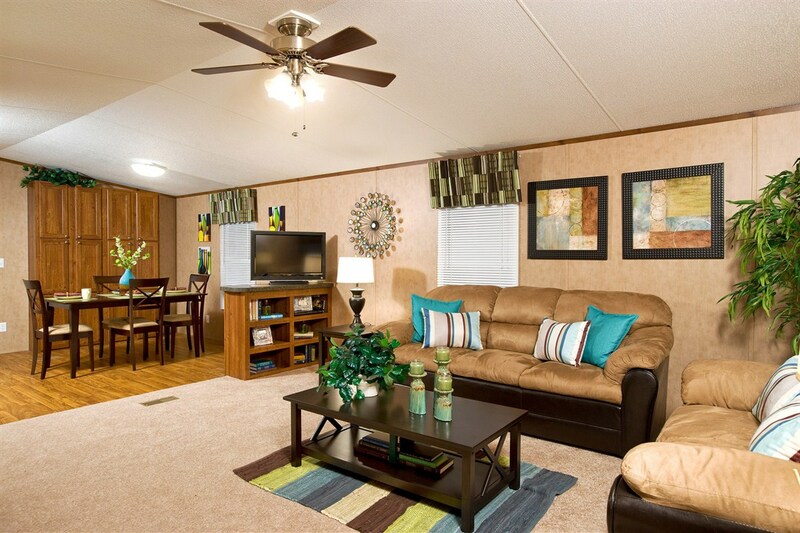 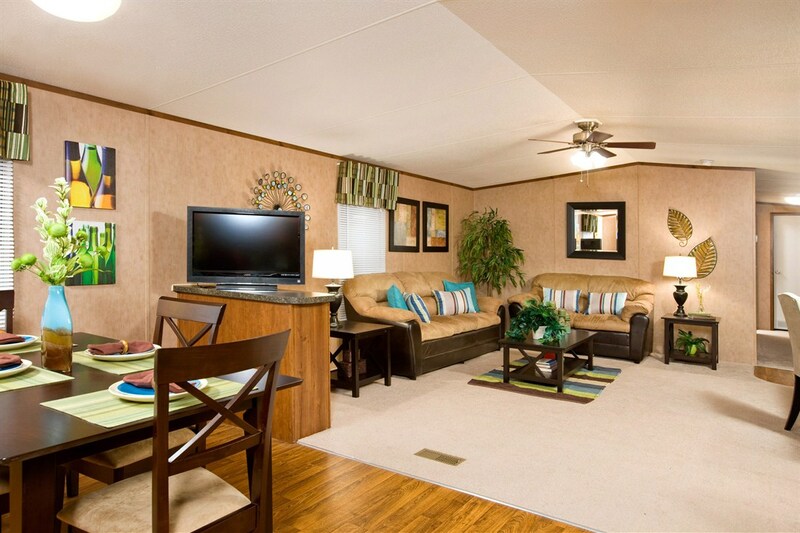 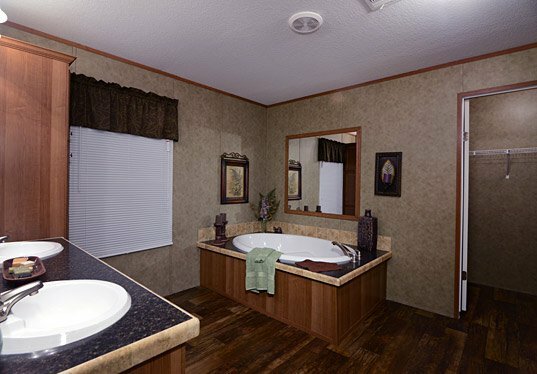 Ideal for singles or couples seeking quality, affordability and convenience. 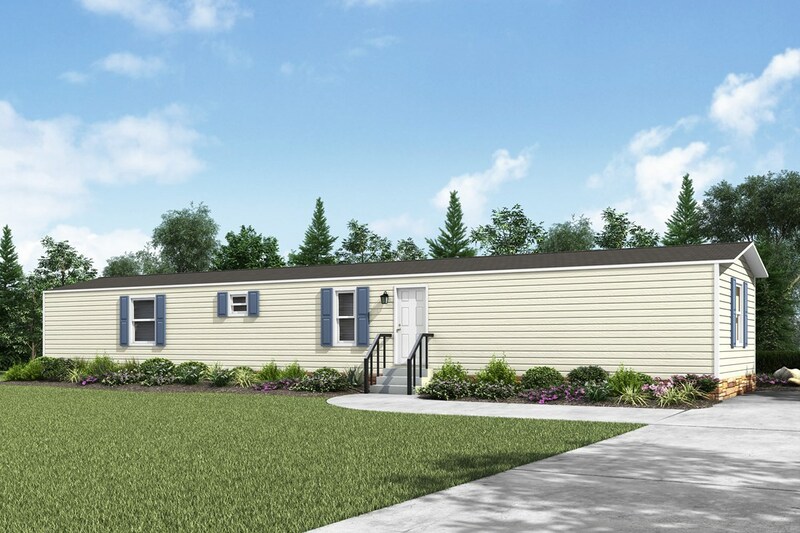 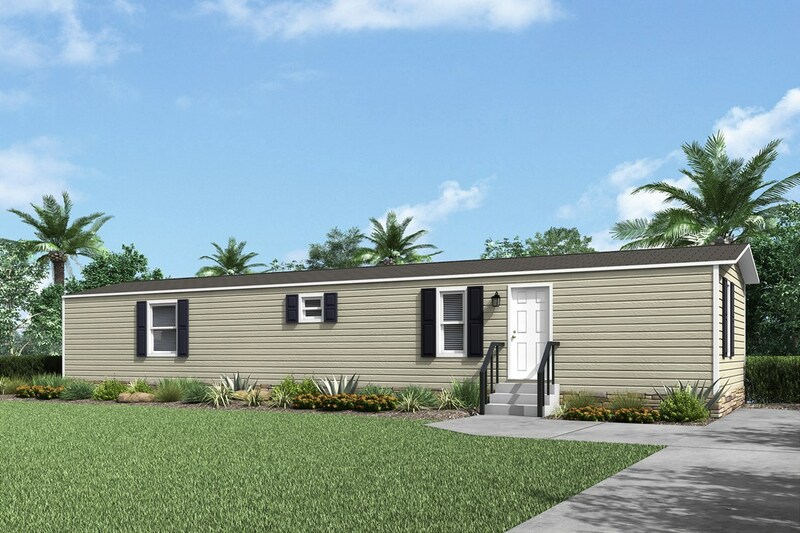 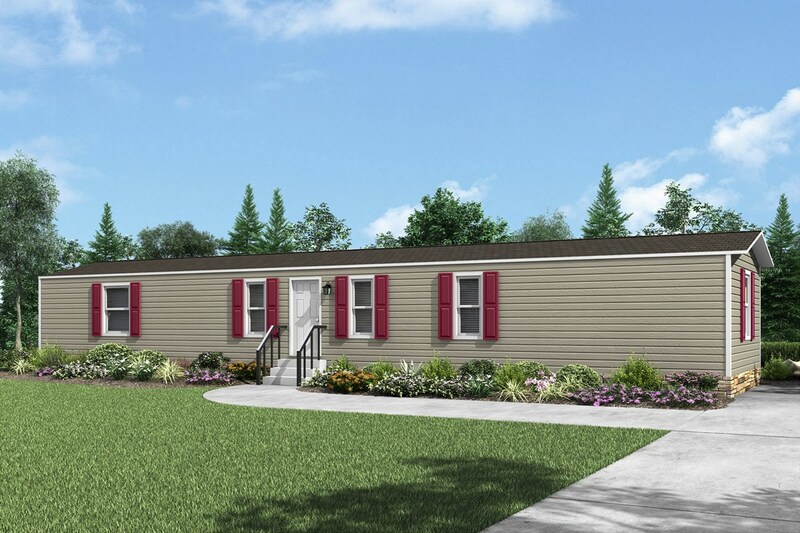 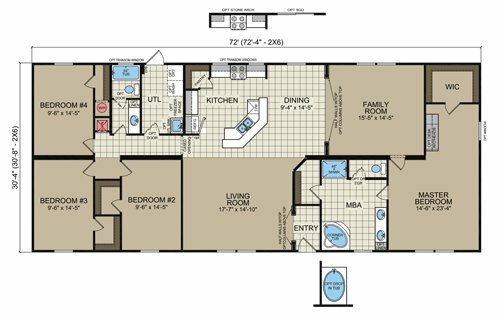 Skillfully and efficiently designed affordable single section with spacious living room with optional bookcase divider, modern convenient kitchen with optional snack bar, king size bedrooms and baths at opposite ends of home. 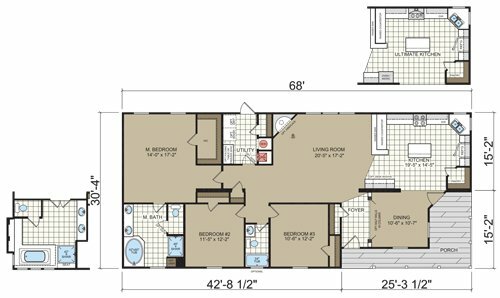 Skillfully designed to maximize space including well equipped modern kitchen with available large optional pantry, separate laundry room, extra large bedrooms and beautiful baths. 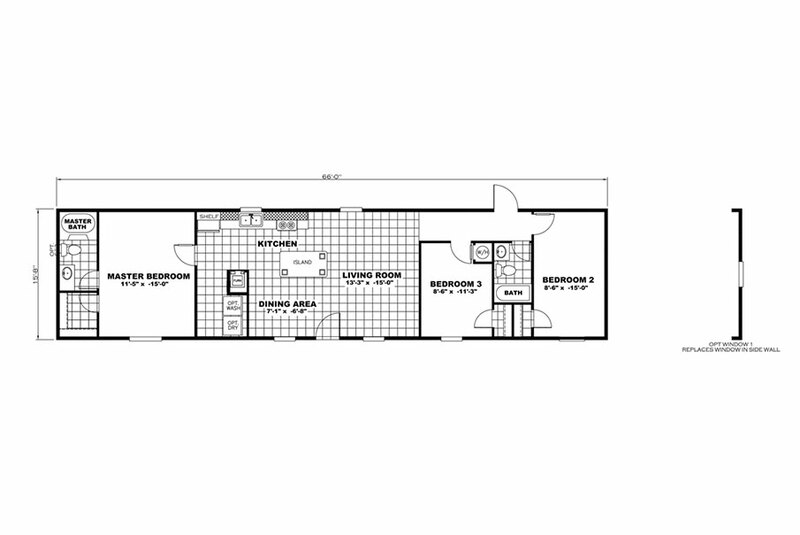 Well proportioned three bedroom single section with available custom option with two bedrooms and two baths at opposite ends of home and large living room and beautiful kitchen in center of home eliminates wasted hallway space. 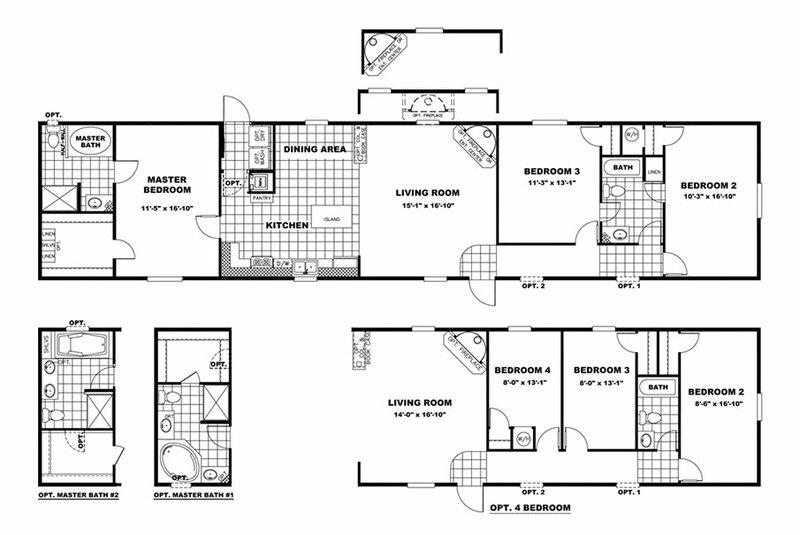 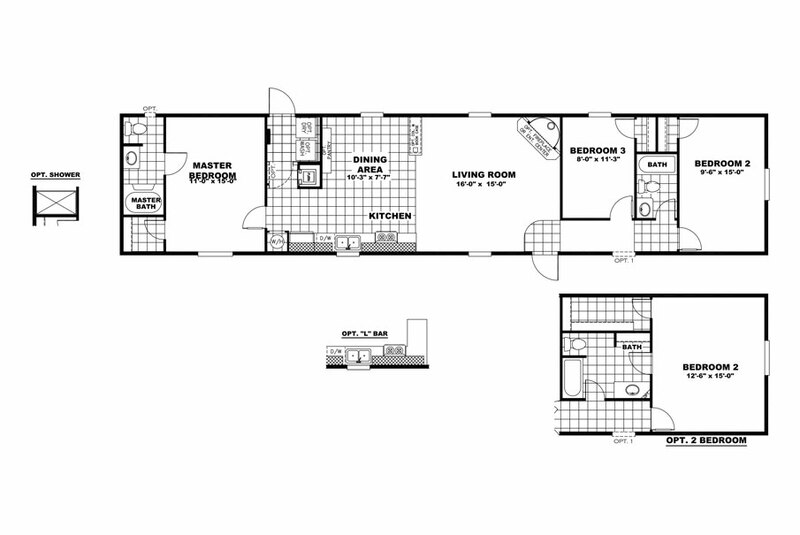 Customizable family floor plan with master bedroom and luxury bath privately located away from guest bedrooms. 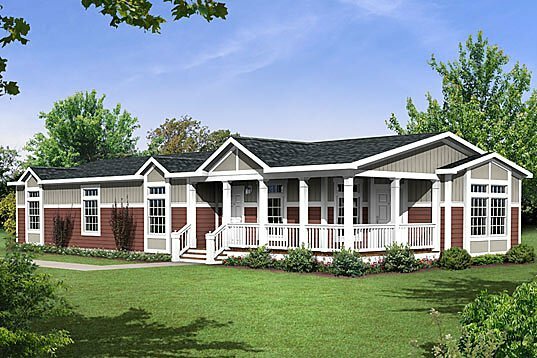 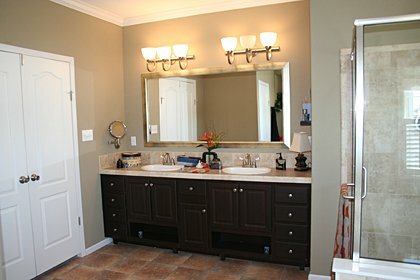 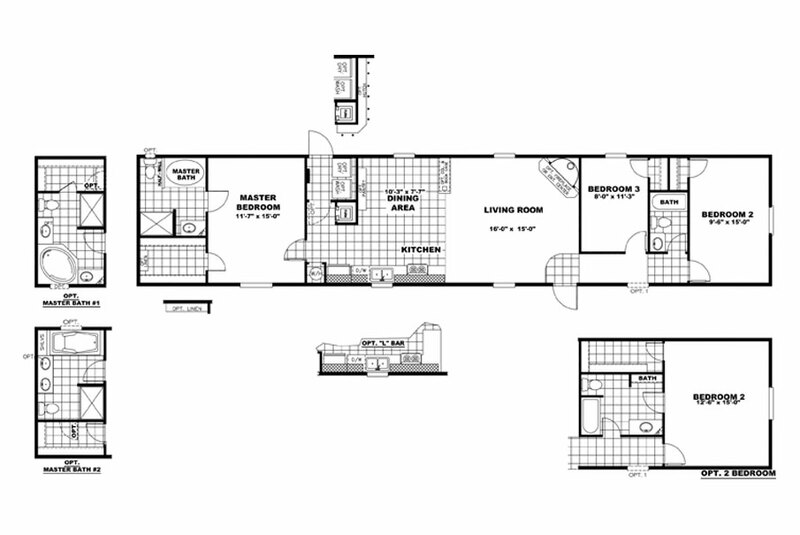 Popular option available as a two master bedroom plan in lieu of third bedroom. 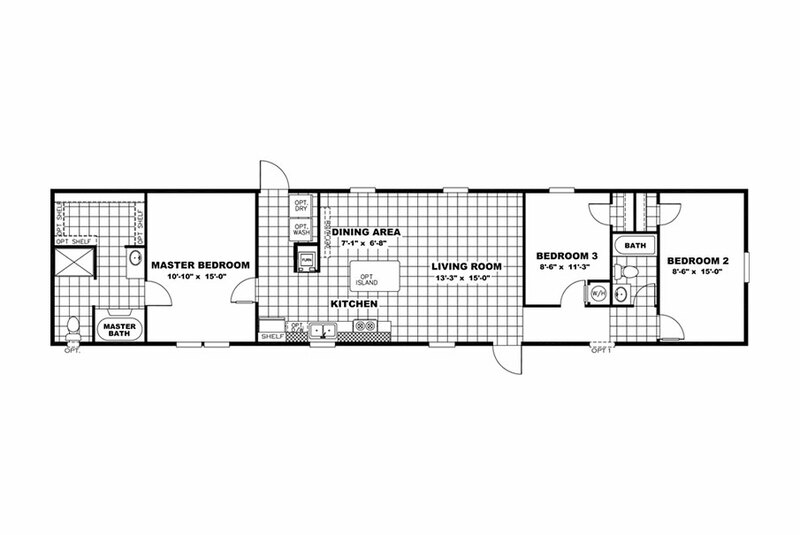 Skillfully designed single section with numerous customizable options including fourth bedroom and three alternate bathroom configurations. 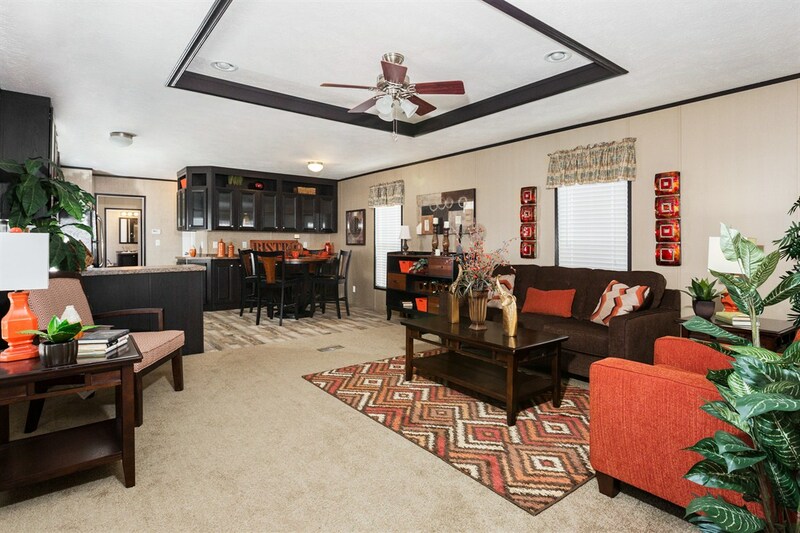 Open concept family home features large combined kitchen and living room in center of home and privately located master suite away from guest bedrooms and second bath. 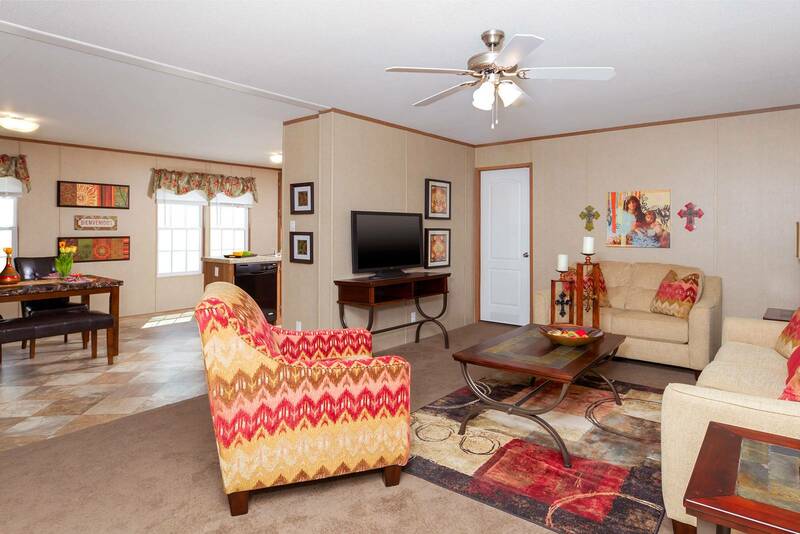 Skillfully designed value priced family home with large living room, beautiful kitchen with center island, large bedrooms, deluxe baths, and abundant closet and storage capacity throughout.